The Collectors' Edition package is expected to ship in late-August. To pre-order, just visit the Purchase section. 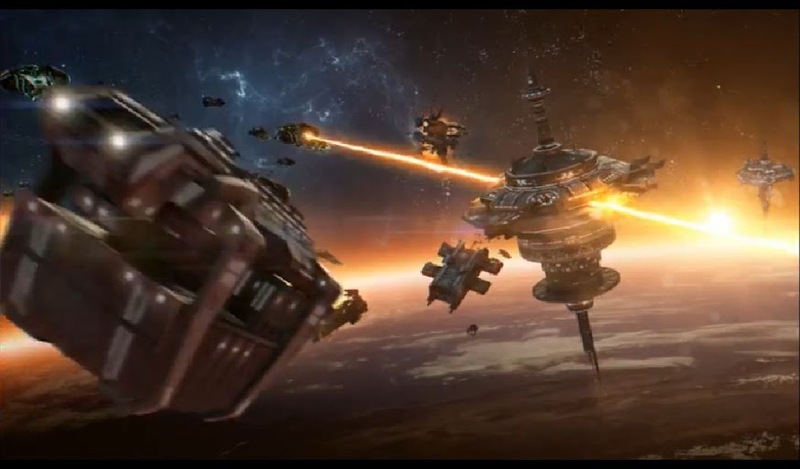 You must already own a copy of Sins of a Solar Empire: Rebellion to qualify for this upgrade. Luckily the freighter isn't going near Africa's high piracy zone. I see your shipping provider uses Kosturas to avoid otherwise unfavorable phase lanes. Lol to this whole shindig. This is great! In my experience it can be anywhere from 3-7 weeks. There is also customs which can either be a breeze, or another 2-3 weeks depending on the items and the paperwork that is requested. Why is that? Bulk shipping on container ships is a lot slower than shipping single packages or parcels to distant locations in the world. Update on this front: The ships have landed in the U.S. However, U.S. Customs has decided that we may be importing Vasari tech, so they're holding the shipment for inspection. No clear idea on how long this process takes, but we'll keep you guys updated as we learn more. yarlen, what do you think the chances of the kol's opening fire upon the customs(pirate) ships? Hopefully low - we don't want to delay things more.... Apparently there's 2 metric tonnes of Kol goodness on the truck though! Something for those in the interim. Oh really...Some Advent spies has just came forward that someone erroneously forgot to ship a few metric tonnes of Apple juice to a neighboring Vasari warlord. An unincorporated system that has been known to have cheap labor has just been recently "annexed" by said warlord which, unfortunately has disrupted shipments of the Collector's Edition. While Stardock and Ironclad are securing a new manufacturer for the Collector's Edtion in another system. Any chance just the Kol model will be available separately ? I realize this is an old topic but I just ordered mine yesterday, can't wait! The store page said it comes in a numbered collectors box, I thought they discontinued that? correct, there is NO collectors box as it would have cost too much and been too expensive to ship. So the store listing is incorrect, they really should update it then. I wonder what they did with 2,600 or more collector's edition boxes - or were the boxes never manufactured? More importantly, though, I had a question - when the collector's editions were made there was no paper manual available for Rebellion, yet now in the British, Kalypso versions there is. Would there be any way to obtain such a manual in the US, from Stardock preferably, without buying the game again? Because I really love a good thick paper manual but I would also love to not spend $40 on a game I already bought just for its manual. Edit: dumb me - asking on a Saturday night when I won't get a response till Monday. Second Edit: I saw that Sins: Rebellion had no reviews for the Kalypso UK version on Amazon so I left my own. Hopefully they accept it. You could in theory take the PDF file that contains the manual and bring it to a local printing company. You can of course print it our yourself, too, but the printing company might offer a real "book".